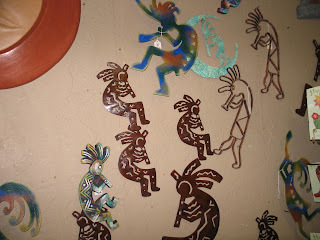 Kokopelli was the "trickster" in Native American legends. He was much like coyote: always getting into trouble! 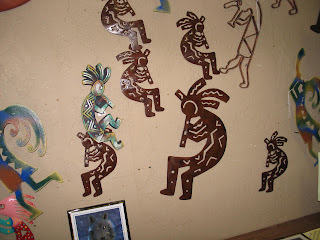 These were on a wall in Williams, AZ, and OF COURSE, I just HAD to get a couple of pics of them! I like the Trickster......he makes life interesting and keeps us awake! Hmm...5+ yrs in AZ, had some of these around my home, as everyone does..but never knew what they were!